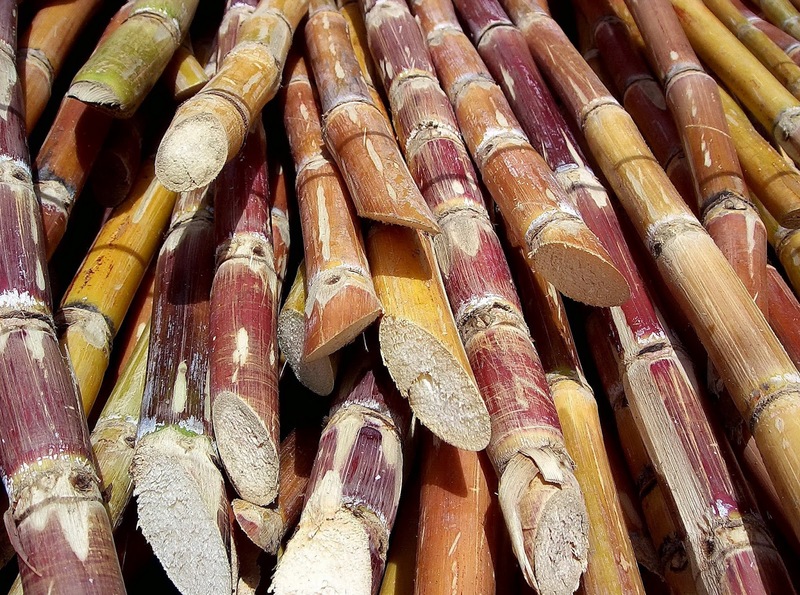 Around 8,000 BC, the people of New Guinea first domesticated sugarcane. After domestication, cultivation spread rapidly to Southeast Asia, southern China, and India. There juice was refined into granulated crystals. By the sixth century AD, sugar cultivation and processing had reached Persia. Sugar was then carried throughout the Mediterranean by the Arab expansion. The Arabs spread sugar and its production technology across the region. Then came the Crusades. Crusaders brought sugar home with them to Europe after their campaigns in the Holy Land. The Crusaders encountered caravans carrying "sweet salt". Early in the 12th century, Venice acquired some villages near Tyre and set up estates to produce sugar for export to Europe. Sugar supplemented honey as the only other available sweetener. Crusade chronicler William of Tyre, writing in the late 12th century, described sugar as "a most precious product, very necessary for the use and health of mankind". Spanish and Portuguese exploration and conquest in the fifteenth century carried sugar south and west. Henry the Navigator introduced sugarcane to Madeira in 1425. The Spanish eventually subdued the Canary Islands and introduced sugar cane there. In 1493, on his second voyage, Christopher Columbus carried cane seedlings to the New World, in particular Hispaniola. So, that is the short version of the history of sugar and its journey to the “New World”. The crucial problem with sugar production was that it was highly labor-intensive in both growing and processing. Because of the huge weight and bulk of the raw cane, it was very costly to transport, especially by land. Therefore, each estate had to have its own factory. There the cane had to be crushed to extract the juices, which were boiled for concentration. It is a backbreaking and intensive operation lasting many hours. However, once sugar had been processed and concentrated, it had a very high value for its bulk and could be traded over long distances by ship at a considerable profit. With the European colonization of the Americas, the Caribbean became the world's largest source of sugar. These islands could supply sugarcane using slave labor and produce sugar at prices vastly lower than those of cane sugar imported from the East. Thus the economies of entire islands such as Guadaloupe and Barbados became based on sugar production. By 1750, the French colony of Saint-Domingue (Haiti) became the largest sugar producer in the world. Jamaica also became a major producer in the 18th century. Sugar plantations fueled a demand for manpower; between 1701 and 1810 ships brought nearly one million slaves to work in Jamaica and in Barbados. All this leads to one of my favorite Stanistaw Jerzy Lec quotes. “I give you bitter pills, in a sugar coating. The pills are harmless - the poison's in the sugar.” Often in life, bitter pills come sugar coated. The bitter pill could be an acquaintance, business deal or family member. With these pills, once the sweetness is tasted, turmoil ensues. Think about it and have awareness when tempted with things too sweet!